Inspired by early California mornings, the Chanel Spring 2016 collection captures flamboyant colours and energy. 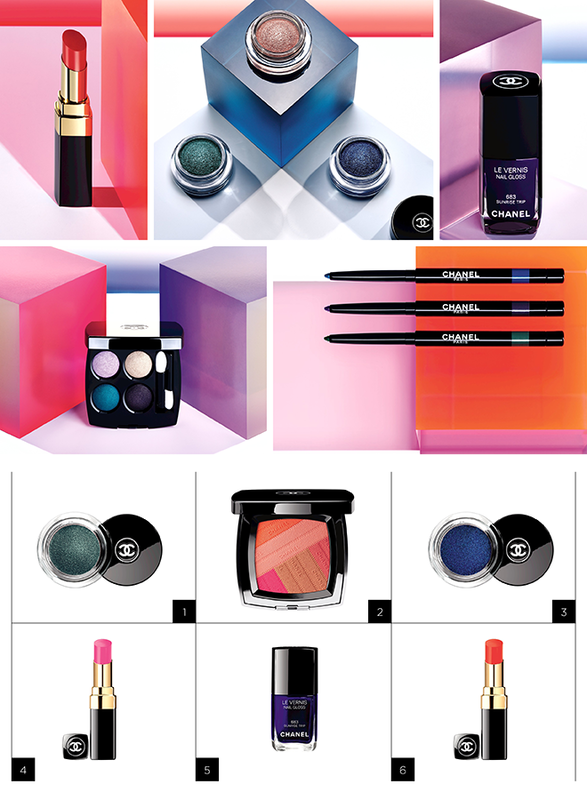 It’s one bright collection that’ll have you dreaming of every product. Some of the products are limited edition, so just be warned. I AM OBSESSED!!!! I love all products from Chanel but if I had to choose from this collection, it would definitely be the Illusion D’Ombre Absolute Light in Ocean Light, and Griffith Green, a bit pricey, but I am pretty sure it would be worth it! omg this collection is so stunning! I love the complexion! So so so gorgeous! But not affordable if used all the time. Omg i want it all! Chanel is a beautiful brand but these cosmetics are for the wealthy class. Would love to win this selection as a gift.